Listed below, you will find the Village of Crainville current water rates and policies. If you do not find the information you need, please contact our office and we will provide it for you. 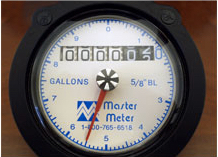 Friendly Reminder: Water Bills are always due by the 15th of each month. Failure to receive the bill does not relieve consumer of payment or penalty.